The Southern York School District serves a 68-square-mile area of southern York County, PA, including the boroughs of Glen Rock, New Freedom, Railroad and Shrewsbury, as well as Shrewsbury Township, Codorus Township and part of Hopewell Township. The district contains three elementary schools, Southern Middle School and Susquehannock High School, which is located in Glen Rock. Approximately 3,000 K through 12 students were enrolled in Southern York schools as of 2014. The Southern York Digital Academy was established in 2011 to provide online learning opportunities for students living within the district’s boundaries. The Southern York School District offers a mix of rural and suburban areas, making it ideal for families who don’t wish to live in a big-city environment. However, the southern portion of the district borders the Mason-Dixon Line, making for an easy commute to the Baltimore, MD metro area via Interstate 83. Many current residents in the district work in Baltimore, the county seat of York and the Pennsylvania capital city of Harrisburg. Are you thinking of relocating to South Central PA? CENTURY 21 Core Partners is your best resource for purchasing homes for sale in the Southern York School District, no matter what type of property meets your needs. Our listings include a large selection of single- and multi-family units, mobile homes, agricultural properties and townhouses at various price points. The ubiquitous Century 21® brand is your assurance of the best possible buying experience. Century 21® received the highest numerical score in the 2014 and 2015, an annual survey that gauges the level of satisfaction for first-time and repeat home buyers. You don’t have to spend a lot of time — and gas money — driving all around Southern York County in search of that perfect home. A great way to get started is by browsing the selection of homes for sale in the Southern York County School District here on our website. You’ll find professional-quality, full-color property photos and have the opportunity to take virtual tours of the homes that capture your interest. You’ll also get access to essential property facts and figures. Once you’ve identified the properties that meet your needs and budget, you can contact us to schedule a convenient showing. CENTURY 21 Core Partners agents benefit from an industry-best training program and have extensive knowledge of the local real estate market. 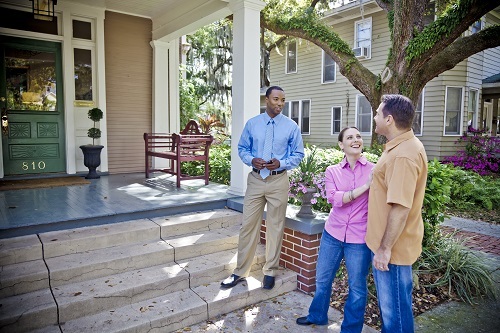 Our agents also put the needs of our clients first and foremost to provide the best possible home-buying experience. Feel free to give our York office a call at 717-718-0748 for more information about our Southern York School District real estate offerings. You can also stop by any of our weekend open houses in the area for a closer look.